Forms that, like Bengali, to me look very different than the typefaces we’re used to. 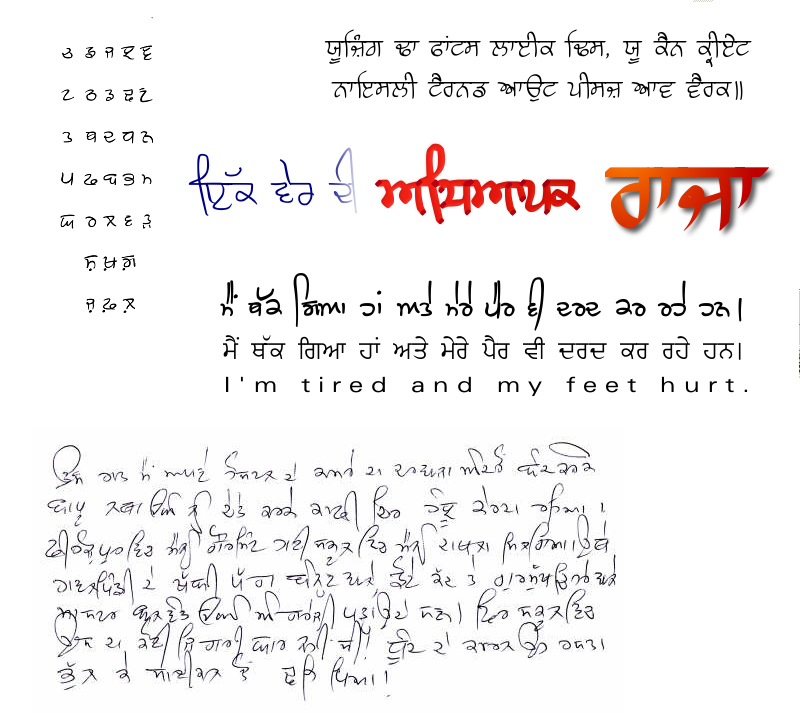 I also came across a post about handwriting analysis on sikhphilosophy, to which the handwriting sample belongs. “That night I closed my hostel room door from inside, was remembering my dad and I cried. I got admission in a government high school in Ferozepore. There was a teacher from Rawalpindi there who wore a left sided turban, was of a small height and had a gentle face. Hehe, kind of neat, eh? That example with the parallel handwritten and printed type texts is fantastic. It illustrates just the kinds of changes I have thought are behind the evolution of Gujarati and Kaithi from early Devanagari. You can see how the headstroke is not dropped, but instead it is abbreviated and incorporated into each letter in different ways depending on the form class each belongs to. Just what happened in Gujarati, as I see things! maybe it can be useful.